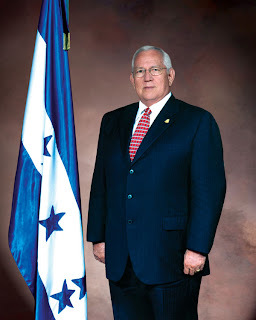 After the last article in which Congressman Connie Mack declared that a New York Times article was fabricated, I looked over author Ginger Thompson's past articles on Honduras. I saw that she also claims that Micheletti's representatives were to blame for the failure of the talks, which is exactly opposite of what happened. I saw the whole press conference from beginning to end, including Arias' entire speech, Mauricio Villeda's response, and Rixi Moncada's response, all in full, which I'm sure is more than most of you saw in the USA. I wasn't able to find a video with the complete press conference, which was around an hour in length, but the above video translates part of it. Interestingly, this video did not include Rixi Moncada's concluding comment. 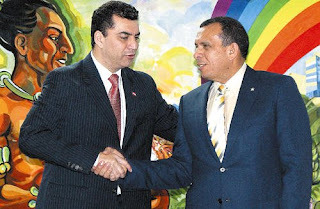 Mauricio Villeda, spokesperson for the government of Honduras, clearly stated that he would respectfully present the proposal to the responsible sectors of the Honduras government, "because in Honduras there is separation of powers, independent and complimentary". He also pointed out that he takes the talks very seriously and personally because his own father was a president of Honduras who was overthrown by a bloody military coup in which the military did assume the powers of the state, the constitution was thrown out, and in which many people had to live in exile in Costa Rica, a situation which he stated emphatically has not occurred in Honduras in this case. In contrast, Rixi Moncada, spokesperson for Zelaya's team, clearly and definitely declared the talks "a failure" and called for increased coercive action on the part of the UN and international community. Here is a 20 second clip from her speech which was not shown in the previous video. The text at the beginning says: "Uncompromising and arrogant". Rixi Moncada states: "In conclusion, the mediation dialogue is exhausted. That for us, the proposal presented now, as the San José proposal, has failed." At the end, the text is translated as, "Honduras continues firm". The head of Honduras’s de facto government, Roberto Micheletti, has expressed support for a compromise that would allow the ousted president of his country to return to power, according to officials in the de facto government and diplomats from the region. 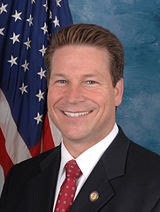 WASHINGTON – Congressman Connie Mack (FL-14), the Ranking Republican of the House Subcommittee on the Western Hemisphere, tonight stated strongly that the report in today’s New York Times is utterly untrue, and is deeply concerned that the Obama Administration appears to be siding with Hugo Chavez against the people of Honduras. Today’s New York Times asserted that Honduran President Roberto Micheletti is working on a deal to bring former President Manuel Zelaya back to power. “I spoke to President Micheletti today by telephone. The New York Times story is utterly untrue and there is no deal to bring Manuel Zelaya back to power. 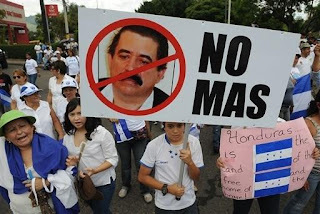 The people of Honduras do not want and will not accept Zelaya’s return. “Zelaya was removed from the presidency through a legal process established by the Honduran Constitution. He was voted out of office by the Honduran National Congress. 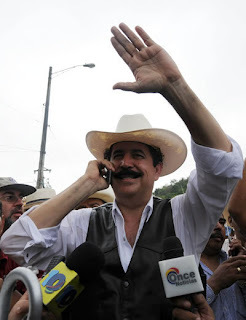 The Honduran Supreme Court ordered Zelaya’s arrest. This was not a coup. This is a matter of Honduran law and sovereignty. “The ones supporting the ousted President include Hugo Chavez and other leftist dictators in Latin America. “The Obama Administration’s position is appalling. They are siding with the forces of evil against the forces of freedom. They are involving themselves in the internal politics of a sovereign nation. It is wrong and must be stopped. “Furthermore, I am outraged that the Obama Administration pulled the visas of Honduran officials who didn’t agree with the Administration’s policies, and threatened to pull more. They are retaliating against Honduran judges and Members of Congress for taking positions against Hugo Chavez and other leftists in Latin America. Wow! When the New York Times publishes fabricated information, who can you believe? Something interesting is that Ginger Thompson is the same author who was involved in the other false report I wrote about in "Massaging the facts" two days ago. Could it be that this reporter has an agenda, which doesn't necessary include reporting the facts or does she just have a problem understanding Spanish? Insulza: My record on the theme of democracy is absolutely impeccable! 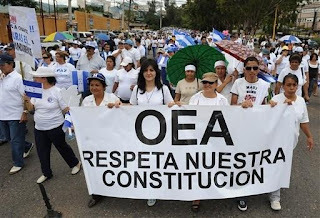 Last week, Mauricio Villeda, a member of Micheletti's delegation to Costa Rica, stated that if Venezuela was judged by the OAS on the same standards as Honduras, Venezuela would not be a member of the Organization of American States. Many claim that OAS Secretary General José Miguel Insulza is a socialist and not a good leader for the OAS. Many within and outside of Honduras blame the harsh world reaction to the events in Honduras on Insulza's unwillingness to even listen to the whole story. Honduras wasn't asking for negotiation, they were only asking OAS to hear the facts about what happened before taking such a rash measure as alienating Honduras from all of the countries of this hemisphere. Insulza uses a double standard when dealing with Honduras as compared to Cuba or Venezuela. Insulza was aware of the volatile situation in Honduras, as were all of the OAS member states since an emergency meeting was held on June 26 (videos of the meeting are available at the OAS site). 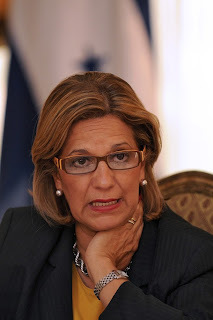 Several delegates stressed the importance of the equality of the three powers of a democratic government − two days before the events of June 28, when Zelaya's delegate to OAS was calling the Supreme Court decision a "technical coup." Secretary Insulza has indicated in interviews that what was happening in Honduras before June 28 was an internal matter, not a matter for the OAS to be involved in, just as he says what is happening in Venezuela is an internal matter. When asked what if Zelaya returned and continued his effort to change the constitution, Insulza has indicated that that also would be an internal matter. Oh, I see. The OAS is merely on hand to protect corrupt presidents and any other problems with democracy are internal matters. On the other hand, Insulza, with his grand ego, says of himself, "My record on the theme of democracy is absolutely impeccable." Channel 10 news two nights ago showed a long clip from an Univision interview of Insulza by Jorge Ramos. It was priceless. Despite Insulza's grand ego, Jorge Ramos handed Insulza his head on a platter. I was able to find the Univision videos, which are presented above. The interview is in Spanish, but I found a blog which has a transcript of part of the interview. You can get a sense of the hypocriticalness of Insulza in this English translation. By the way, the Univision website has violated the human rights of all people in Honduras by denying us the right to see this video − I offer this since "human rights violations" has become such a trivial accusation to throw around. More on that later. I think I'll scream if I see CNN's map of Honduras one more time. Why does CNN continue to show Tegucigalpa way up there in Olancho? That would be like showing Washington, D.C., in Ohio. Please tell CNN, because obviously they don't listen to anything I write. 1. That the Armed Forces are respectful of the Constitution and laws, by which we reaffirm our subordination to civilian authority in line with the principles of legality and due obedience. 2. That as an institution we support a solution to the problems facing our country, through a negotiation process under the San José Agreement. Likewise, we reiterate our unreserved support to the results, in accordance with our Constitution and other laws. 3. The Armed Forces as a national institution complies and will continue to meet the missions established by the Constitution and Laws of the Republic. "The Honduran armed forces issued a communiqué on Saturday indicating that they would not stand in the way of an agreement to return Manuel Zelaya, the country’s ousted president, to power." "Posted on the Honduran Armed Forces Web site, it endorsed the so-called San José Accord that was forged in Costa Rica by delegates representing President Zelaya and the man who heads the de facto Honduran government, Roberto Micheletti." "The officials said the military communiqué was significant because it was the first sign of support for the San José Accord by a powerful sector of the de facto government. And the officials said it could make it more difficult for the Honduran Congress and Supreme Court to reject the accord when they consider it." "American officials who met here with the Hondurans said that they were two colonels who were concerned about the tensions generated by the political conflict." To me [Pete], the Armed Forces communique simply backs the civilian authority and the constitution. It supports a negotiation process under the San José Agreement (which is supported by the Micheletti government but not by Zelaya). I somehow doubt that the communique was "drafted in Washington after days of talks between mid-level Honduran officers and American Congressional aides." I [LG] would add that ALL sectors of the government have proclaimed their support for the negotiations numerous times (though maybe not reported by mainstream media), always within the context of the constitution and laws of Honduras! 4. We call on the national and international community, that they have absolute confidence in our actions as they [those actions] will always be unconditional adherence to the rights and guarantees of all persons, taking into account the legitimate exercise of our duty. 5. We emphasize our commitment to respect and ensure respect for our constitution and laws, over and above any particular interests or groups that seek to destabilize our country. Paragraph number 5 is clearly referring to Zelaya and his supporters (backed by Hugo Chávez, Fidel Castro, and Daniel Ortega) who are the only ones trying to destabilize the country. In an interview with BBC Mundo (English translation) General Romeo Vásquez reiterated the armed forces support for the government of Roberto Micheletti as well as the negotiation process and clarifies that this communiqué should not be interpreted as indicating the armed forces support for Zelaya. He also stated that there was no Honduran military contingent negotiating on behalf of the armed forces in Washington, D.C. Many teachers continued their month-long strike yesterday. Parents are increasingly angry with teachers and teachers' unions that their children are being denied an education. Parents and some teachers at one school filed denuncias against the school director for allowing aggressions from some teachers and preventing classes from occurring. (Article translated to English.) Many teachers have complained that they are being pressured and threatened by union members to remain on strike and attend protests despite their personal beliefs to the contrary. 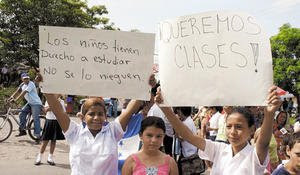 At one San Pedro Sula school (article in English), children are proud to have teachers who care about their education. "I'm not afraid to give classes, it is my work, and if the students come to school, we should attend to them." said one teacher. Both parents and police are guarding the school to prevent threats by the union leaders. Colonel Agustín Humberto Avelar asked to the office of the public prosecutor and the organisms of DD HH that the parents investigate who took to their children to the border zones where tense moments were lived yesterday. I have taken my son out of the public school he was in after a confrontation yesterday with my son´s director. They wanted to force my son to march and was teaching him that communism is good and that he had to disobey his parents if they tell him different and that he had to fight in an insurrection to insist on the return of Zelaya even if it meant blood shed. I was outraged...instead of teaching school this is what they do with a thirteen year old child? Thank goodness he called me...and they jumped on him calling him ignorant and a sell out for telling me what was going on. I nearly punched the teacher right there and the director..I will be making a complaint with Human Rights against them. It is becoming increasingly clear that a large number of teachers in this country, regardless of their political views, are not acting like responsible and educated individuals. Instead of being in the classroom where they belong, they are out on the street, carrying out illegal acts (road closures). Children will soon have missed a month of classes, just in the current crisis. That is significant. Some teachers are apparently doing what can be considered "indoctrination" of children in non-democratic ideologies (eg communism). If it is true that children were taken by teachers to the dangerous border areas to act as "human shields", this is yet another reason for serious concern about the educational system in this country. Because of their very strong unions, and likely due to payoffs from Chavez, they have become a significant force against freedom and democracy in Honduras. Since there are 70,000 of them, they represent 2% of the adult population of the country, but their influence extends far beyond that. As I have mentioned before, they are among the highest paid members of the public sector, they pay no income tax, they have >3 months of paid vacation per year and they take off >1/3 of the school days with their "strikes" and other unauthorized absences. There are substantiated accusations that students are being told to "support" Mel, or they won't get "extra" points. High school and college students are being threatened with expulsion, low grades and in some cases violence, if they don't cooperate with the teachers' agenda on the return of Mel. Zelaya has given the teachers a pay raise. They always want more. I have to ask if they really are professionals and have the best interests of the children of Honduras at heart. There are a few who have gone back to the classroom, protected by parents from mob rule. I applaud these responsible teachers. Education is a key to solving the serious problems of this country, yet if the children are not receiving an adequate education, then the future of Honduras is in grave jeopardy. We at HHK (Helping Honduras Kids) are happy that our 2 schools are private and relatively unaffected by the current situation and school closings. Some public school teachers did visit our Jungle School with the intention of closing it, but when they were told it was a private school, they left. 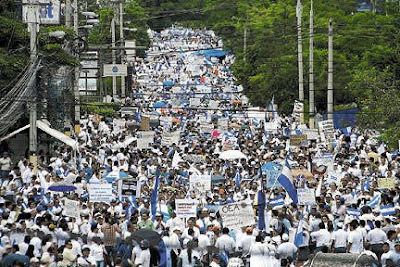 Honduran President Roberto Micheletti has assured citizens again and again that the November elections would take place as planned and that the new elected president will take office on January 27, 2010, as required by the constitution. He also makes it clear that international election observers would be welcome, as always. The candidates believe him. Why doesn't the rest of the world? It seems evident that most people do not know (thanks to OAS blessings in prior elections) that elections have never been clean in Honduras. Zelaya won the election by a very small margin and then a couple of years later admitted in an interview (on YouTube!) that he won by fraud. He who has the most money and/or is the most corrupt generally wins in Honduras. Sad but true. Hopefully that can change and maybe with enough serious observers, change will happen. The Honduran government, but probably not the candidates, would welcome international involvement in the elections. I would suggest at least two people at every polling place, starting an hour before the polls open and leaving only after the final count is recorded, and then comparing each count with the final tabulated results. I would also suggest some computer experts and accountants be involved. That might help prevent some types of election fraud, but it still won't prevent the people who get cash payments (or tamales!) to vote. Read "How much is your vote worth" which I wrote just before the internal party primary elections last November. This was no power grab by Micheletti or an out of control military! Unless you are willing to accept that, you will never understand what is happening in Honduras. Roberto Micheletti is no dictator nor was he chosen by the "golpistas" or "elected" by the congress. If Honduras had a vice-president, he or she would now be president. Since there was no vice-president (he resigned to run for president), if Juana Pueblo had been the president of the Congress, she would now be president, in accordance with the constitution. Micheletti has now used his only chance at a 4-year term as president for six months of torturous pressure in a bankrupt, corruption filled swamp, while being demonized, disrespected, and vilified by the whole world. Not exactly a plum job. He says the elections will be held in November, as required by the constitution, that the candidates elected in the May primaries (already blessed by OAS) will be on the ballots, and that he will turn over the reins to the winner in January, as required by the constitution. As cynical as I am about politics and corruption in Honduras, I believe him. What is more important than what I think is that majority of the people in Honduras believe him or just don't care one way or another because their government has never done anything for them no matter who was in power. 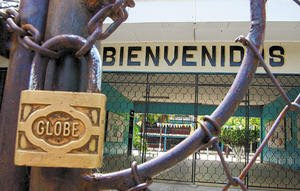 Despite what the rest of the world thinks, elections are a non-issue here in Honduras in regard to the current crisis. The constitution is being followed. Zelaya predicts: I would be taken out of the country "as is the custom"
This Telesur video was taken on Thursday, June 25, at the military base where President Mel Zelaya had taken a mob to take control of and distribute the election materials which had been determined illegal and ordered confiscated by the Supreme Court. He rants on and on to justify his actions to the reporter, but it seems primarily to reassure the very uncomfortable looking General Luís Prince that what he is doing is correct because the Supreme Court has erred. Starting at minute 3:35, you'll hear Mel Zelaya discuss what should happen if he committed a crime (which he did by taking control of the ballots). He indicates that the other powers of government would act against him and that one of the options would be to take him out of the country, "as is the custom." Too many people compare what has happened in Honduras to their own "first world" country, their own constitution, and their own laws and customs. This is Honduras, a third-world country with a very young democracy and a constitution that unfortunately does not include an impeachment clause. The prosecutor did proceed against him and the other powers of the state did what they had to do under the law. Zelaya was given every opportunity to comply with the law. Instead he choose to violate the court order in the most blatant way and the result was that his prediction came true. He was taken out of the country. Can the president break the law with impunity? Perhaps the most important statement Zelaya made was a casual comment that next year the country would be ruled by a constitutional assembly. What about the elections? In this video he says that the the opposition of the Congress and the Supreme Court to his desires were “arbitrary and illegal” and constitute a “de facto coup”, and that a constituent assembly is “badly needed”. The Supreme Court and Congress are meant to be a check and balance on the Executive branch. Are they coupsters for upholding separation of the powers of the state? My guess (only! I have no inside information) is that on the morning of June 28, Mel Zelaya was given the choice of humiliatingly facing charges of treason, abuse of authority, and other crimes, or of resigning and leaving the country. I believe that he made the choice to leave the country, but all along had the intention of playing the victim, which he has continually done during his presidency. "They are all against me! ", he was wont to say. See this May 2007 Blogicito article for an example of Mel playing the victim, which also touches on his attempts to repress the media. As far as the pajamas go, I have never from the beginning believed that Zelaya was not given the opportunity to dress. Humberto Fontova of Babalú wrote: "Military thugs Booted Zelaya–while still in his pajamas!–from his office and nation!” (a complete CROCK!). I also have a hard time believing that on the one of the most important days of his life, with the polls about to be open in 45 minutes, that Zelaya was sound asleep in his bed when the military arrived. That makes no sense at all. One of America’s most loyal Latin American allies — Honduras — has been in the midst of a constitutional crisis that threatens its democracy. Sadly, key undisputed facts regarding the crisis have often been ignored by America’s leaders, at least during the earliest days of the crisis. • The Supreme Court, by a 15-0 vote, found that Mr. Zelaya had acted illegally by proceeding with an unconstitutional “referendum,” and it ordered the Armed Forces to arrest him. The military executed the arrest order of the Supreme Court because it was the appropriate agency to do so under Honduran law. • Eight of the 15 votes on the Supreme Court were cast by members of Mr. Zelaya’s own Liberal Party. Strange that the pro-Zelaya propagandists who talk about the rule of law forget to mention the unanimous Supreme Court decision with a majority from Mr. Zelaya’s own party. Thus, Mr. Zelaya’s arrest was at the instigation of Honduran’s constitutional and civilian authorities — not the military. • The Honduran Congress voted overwhelmingly in support of removing Mr. Zelaya. The vote included a majority of members of Mr. Zelaya’s Liberal Party. 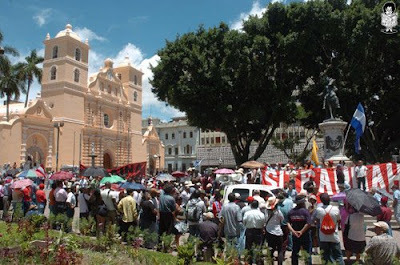 • Independent government and religious leaders and institutions — including the Supreme Electoral Tribunal, the Administrative Law Tribunal, the independent Human Rights Ombudsman, four-out-of-five political parties, the two major presidential candidates of the Liberal and National Parties, and Honduras’s Catholic Cardinal—all agreed that Mr. Zelaya had acted illegally. • The constitution expressly states in Article 239 that any president who seeks to amend the constitution and extend his term is automatically disqualified and is no longer president. 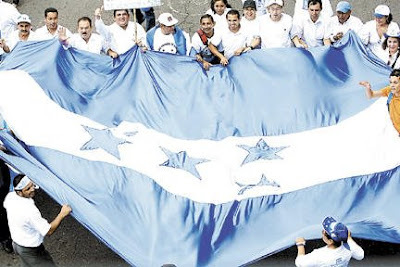 There is no express provision for an impeachment process in the Honduran constitution. But the Supreme Court’s unanimous decision affirmed that Mr. Zelaya was attempting to extend his term with his illegal referendum. Thus, at the time of his arrest he was no longer — as a matter of law, as far as the Supreme Court was concerned — president of Honduras. • Days before his arrest, Mr. Zelaya had his chief of staff illegally withdraw millions of dollars in cash from the Central Bank of Honduras. 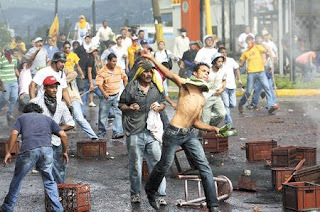 • A day or so before his arrest, Mr. Zelaya led a violent mob to overrun an Air Force base to seize referendum ballots that had been shipped into Honduras by Hugo Chávez’s Venezuelan government. If all parties reach agreement to allow Mr. Zelaya to return to Honduras — a big “if” — we believe that he cannot be trusted to comply with the law and therefore it is our position that he must be prosecuted with full due process. Like America, our constitutional democracy has three co-equal and independent branches of government — a fact that Mr. Zelaya ignored when he openly defied the positions of both the Supreme Court and Congress. But we are ready to continue discussions once the Supreme Court, the attorney general and Congress analyze President Arias’s proposal. That proposal has been turned over to them so that they can review provisions that impact their legal authority. Once we know their legal positions we will proceed accordingly. Mr. Zelaya’s irresponsible attempt on Friday afternoon to cross the border into Honduras before President Arias has obtained agreement from all parties — an attempt that U.S. Secretary of State Hillary Clinton appropriately described as “reckless” — was just another example of why Mr. Zelaya cannot be trusted to keep his word. Mr. Micheletti, previously the president of the Honduran Congress, became president of Honduras upon the departure of Manuel Zelaya. He is a member of the Liberal Party, the same party as Mr. Zelaya. Please consider leaving a comment on the Wall Street Journal article showing your support for Honduras. Roatan attorney César Gonzalez was interviewed by Voices to America on July 5. Near the end, Sr. Gonzalez is referring to some facts that other analysts might not be aware of when considering the importance of Honduras. If you are reading this from an email, click on the article title to go to the blogicito where you can watch the video. The Hondurans were right to dump Zelaya. The Honduran “coup” was a similar response to an extraordinary threat to the rule of law. An interesting article that gives some of the background of the events before June 28 and some of Mel Zelaya's history. Read the article here. Hondurans are right to worry that Zelaya, even if returned in a national unity government, will resort to more demagoguery, as Chávez did after he was temporarily ousted in a 2002 coup. What Insulza should be doing, but isn't, is searching for formulas that allow all the pieces to be put together again in a way that protects real democracy in Honduras and the hemisphere. The Obama administration and Secretary of State Hillary Clinton can no longer be considered a “neutral broker” in the current state of affairs in Honduras. Here’s why. La Prensa, Honduras, is experimenting with an online English-language version of their Crisis in Honduras articles. I haven't really checked it out to see how much of the news is translated or how accurate the translation is so you are on your own, but it is bound to be helpful to those of you who do not read Spanish. El Heraldo has an English version, too. I noticed several misspellings on the front page so I don't think that they are using a machine translation. A couple of people have sent me this video, title translated: "Evidence: Telesur and Zelayistas stage an attack of the Honduran armed forces. The quality is not good and if you don't understand Spanish you may not be able to follow it, but it is an interesting example of Chávez-controlled Telesur's reporting. The announcer says, "This is military repression in which El Paraíso lives." While you see soldiers far in the background, there is no evidence whatsoever that shots came from the military or that the military are in any way repressing the civilians. One person (on the ground originally) appears to have a gun. I noticed that each time a "shot" is heard, rather than focusing on the soldiers, the camera points to the ground or the 'actors'. J says that the gunshots sounds to him like the slamming of a metal gate. The shot that is real comes from inside the van! You can see one bystander in a white shirt and baseball cap just, well, standing there watching the goings on. He skeptically asks, "Are you for real?" J says that this is asked in such a way that any Honduran would know that he does not believe it is real. It does not seem likely that if the military were shooting at the crowd, that he would be standing there calmly watching. Listen to the laughing near the end of the video. Telesur seems to have reporters and cameramen all over Honduras. Despite all their reports of repression, "clashes", abuses, shootings, and human rights violations, they never seem to have the camera on those. They will, for example, show the military shooting tear gas, but don't show the hour leading up to it where the protesters were throwing rocks at, and injuring, soldiers. We aren't talking about pebbles here! Look closely at some of those photos of the pro-Zelaya protesters. Those rocks could kill someone. They carry crates of rocks with them. Hat tip to Lorna and Luís and thanks go to Orvex, a group of Venezuelan exiles who support Honduras, who produced the video. Honduras may have lost the game, but they won the title. Despite pressure from Venezuela, Nicaragua, Cuba, USA, CNN, OAS, United Nations, European Union, Argentina, Brazil, Ecuador, and all the other countries who can't admit that they were wrong not to listen or who are too cowardly to stand up for a friend in front of Hugo Chávez. "The best thing is to reach an understanding that respects the will of the people," Zelaya said. I'm glued to the television switching between CNN (Español) and local news while also reading online news. The contrast is amazing. One CNN reporter (WITHOUT CAMERA) reports clashes with police, shooting, bombs, and tear gas. He excitedly shouts, "You can hear the shooting!" No. We can't. Interestingly, we can't even hear shouting on any of the other news videos, though there is tons of shouting in the background of this reporter's telephone call. Staged? Did he tell the crowd that he was calling in to CNN live? Local news and other CNN reporters show people at the border just milling around, the count could not be called anything over 'hundreds'. The police are lined up, in control, and there is no action on either side, just waiting. Many of the crowd are ladies, protected from the sun with umbrellas, appearing curious, as crowds always are whenever there is any excitement in the neighborhood. The border between Nicaragua and Honduras is a long one. It isn't always clear where these reporters are located. I just find it very interesting with all of the cameramen at these sites, not to mention the vast number of people with camera phones, why no one has yet captured any of these clashes or shootings. This supposedly happened long enough ago for it already to be reported by others. Where is the proof? Does CNN really send out reporters without cameras, not even a camera phone? Think about it. Radio Global, a station that is strongly pro-Mel, has reported police shootings, injuries, and clashes, and this report has been picked up and reported as fact by major media without any photographic evidence. Eduardo Maldanado, who needs his own blog article, is director of this station according to the website. Interesting that the website for this Honduran radio station shows that they have more Venezuelan visitors than Honduran. Just now (4:10 pm), CNN interviewed the Commissioner of Police who explained that some of the protesters were throwing rocks at the police. To protect themselves, the police shot tear gas. I'm not sure when or where this happened. There are factions who want violence. Mel Zelaya wants violence. CNN wants violence. Chávez wants violence. Zelaya crossed the border momentarily and then retreated back to the Nicaraguan side. He was not met with the 500,000 Mel-supporters that Patricia Rodas predicted. It was closer to 500. We have one big accomplishment! 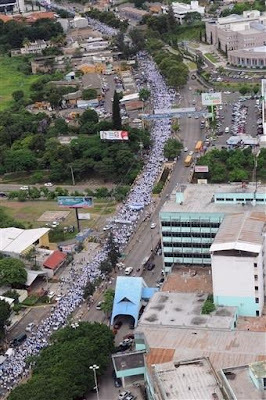 CNN (Español) has been shamed into showing today's San Pedro Sula massive manifestation in favor of the government, peace, and democracy right alongside the video of Mel in Nicaragua. Thanks go to all of you who have complained about the one-sided coverage. There have been dozens of these peaceful pro-government demonstrations before and since June 28 that CNN did not show you! 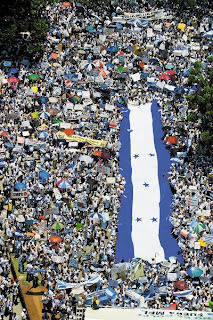 Democracy is alive and well in Honduras because the constitution worked. A video which explains simply in English the events which occurred in Honduras leading to the removal of Mel Zelaya from office. 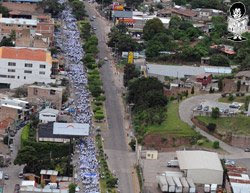 The Tegucigalpa peace march supporting the current government of Honduras received about 5 seconds coverage on CNN (Español) yesterday. The march was described as including "thousands of supporters". In an interview with La Tribuna, Héctor Valdez, a citizen of Tegucigalpa, mentioned that "We are capable of creating our own destiny. To the OAS and the UN, we say leave us in peace." Juan Ferrera, Director of the National Anti-Corruption Council, referred to the march as an "extraordinary manifestation of the people in support of democracy, justice, and liberty. This is the fundamental message that we leave." Ferrera added that "this is a call to all the people of the world, to act in front of your governments. While the ex-president Zelaya calls for discord, here we are united to seek the recovery of democracy." "Organization of American States: Respect our constitution!" 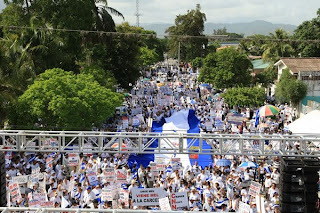 This was the pro-Zelaya demonstration in Tegucigalpa yesterday. It was also described by CNN as "thousands of supporters". 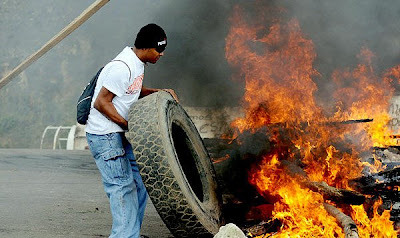 Pro-Zelaya supporter burning tires. How many do you count? 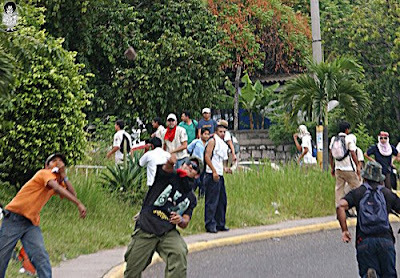 Pro-Zelaya supporters throwing rocks. How many do you count? 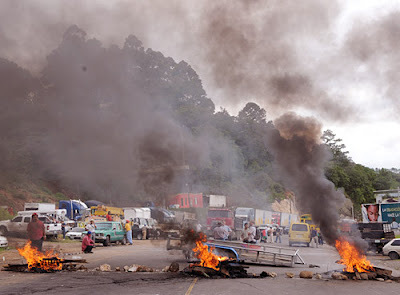 Pro-Zelaya supporters blocking the highway with fires. How many do you see? 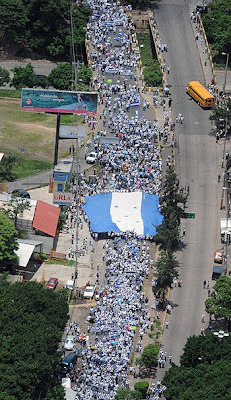 Another highway blocked by pro-Zelaya supporters. 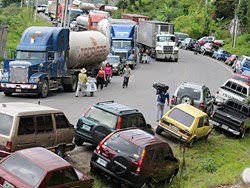 People unable to get to work or deliver products. Citizens' constitutional rights to circulate freely are denied by a few (hundred?) 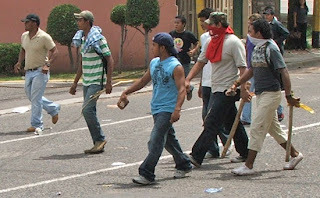 Zelaya protesters. 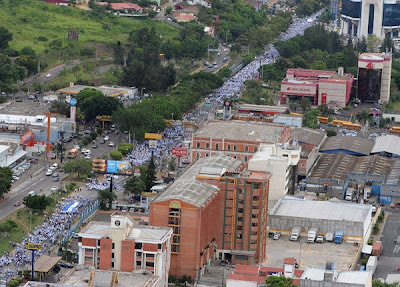 Additionally, pro-Zelaya supporters blocked access to some public hospitals, schools, and government buildings yesterday. Despite what they say, the pro-Zelaya supporters obviously are allowed their constitutional right demonstrate. You don't see any military oppression in these photos. In fact, these protesters are being allowed the right to infringe on the rights of law abiding citizens to go about their daily lives. Oscar Arias and much of the world seem to think that the citizens of Honduras need protection from military oppression or a repressive coup regime. The truth is that the only protection we need is from Mel Zelaya and his violent followers and Hugo Chávez who has threatened to spill blood on our streets. Putting Mel Zelaya back in power means giving power to these mobs, just like the mob that broke into the air force base with Zelaya to steal the election materials on June 25. The good people of Honduras are never going to allow that. Cubanology wrote on the same subject: CNN, Reuters, MSNBC, and the others, Where are you? 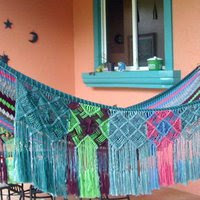 Honduras is calling! Pajama TV did a one-minute video: EXCLUSIVE: PJTV Citizen Reporter Photos Expose Shoddy Reporting in Honduras...or is it a Cover-up? "The children have the right to study. Don't deny it to us." At least some of the teachers' unions are notoriously corrupt, with the leaders pocketing grand sums of money to sell out the people they represent for political purposes. The teachers have been on strike since June 28, when Mel was deposed. I have no idea why, since prior to June 28 they were on strike against Zelaya's government just about every month he has been in office. It makes no sense to me that they would support him now, especially since the new government is paying all the back payments that Mel's administration withheld. Thousands of teachers have gone without any pay for months on end during the past three years under Mel Zelaya. My brother-in-law went 7 or 8 months without a paycheck. Can you imagine working for 7 months without being paid? I think the strike is most likely just to put themselves in a good negotiating position to make demands of the new government rather than any deep seated convictions about Mel, legalities, or the constitution. Or some of the leaders may have been paid by Mel. Last week a few of the unions agreed to go back to work and this week the rest agreed to work 3 days per week. You can see in all of this there is no thought on the part of the unions for the poor children who are growing up with only a part-time education. I can and did understand striking to be paid, but this is a political matter. I don't think that children have gotten the required 200 class days yet in this decade. In some years or areas, it has been as low as 150 class days. Often, the individual teachers don't agree with the strikes but feel pressured to follow their association. Some were even threatened with violence when they tried to teach during the past three weeks. Others have told me that they are forced to participate in the marches. Children's rights advocates are pursuing legal action to make the teachers go back to work because they are being denied the constitutional right to an education. But as time has gone by, many teachers just decided to do the right thing and hold classes. In some cases they were locked out of their schools, or kept out by protesters, and gave classes in playgrounds or parks under a tree. In other cases, including at least one in La Ceiba, groups of parents guarded the schools all day long to prevent threats against the teachers who rebelled from their union! My brother-in-law got fed up with the strike and gave classes in my mother-in-law's house. I'm proud of him! So, a tribute goes to those teachers who have decided enough is enough and have put the future of the children ahead of politics. Update July 23: See additional information provided by readers in the comments section. 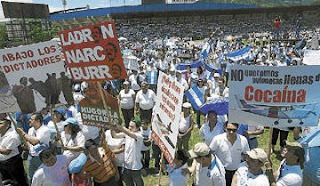 Sound bites: Week of July 20, 2008 − by the way this article is a must read if you are under the mistaken assumption that these strikes are protests are anything new to Honduras. The media keeps reporting: "The country is paralyzed"? Hardly, we live with this kind of thing all the time. 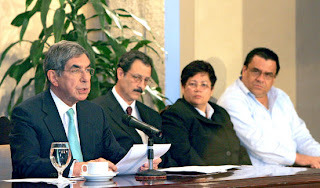 The Truth Commission suggested by Costa Rican President Óscar Arias is a great idea. Since the beginning, President Roberto Micheletti has also been calling for the UN, OAS, or other countries to come to Honduras and find out the truth for themselves. Unfortunately, everyone refused to even talk to them or review the legal documents at the beginning. They were accused and found guilty based on the declarations of the criminals without any chance to defend themselves. Yes to the truth commission, but not from members of the OAS. Honduras has been kicked out of the OAS. The OAS has proven themselves over and over again to be in favor of socialism and use a 'democracy' double standard whenever convenient. Look at Cuba and Venezuela. Secretary General Insulza has already stated strongly that whatever Zelaya should do when back in office would be an internal matter. Also, if an OAS Truth Commission functions as well as the election observations, then we already know what result they will come up with. They might as well just phone in their results right now. First have the truth commission do their work and then decide whether criminals should be put in charge of the government, government funds, the evidence, and the witnesses! It is ridiculous to assume that a Truth Commission could ever hope to find the truth after the corruptos are put back in charge. It is precisely because they were in charge that the congress, the attorney general, the auditors, courts, and civil society could not find out the truth about how much money was being spent or where it was going. How can Oscar Arias even consider that the fox should be put in charge of the hen house and afterward conduct an investigation? Surely he can't be that naive? I just continue to be dumbfounded by all of this. This is a country where a member of the President's cabinet can go to the central bank and withdraw L.40,000,000 in cash! The UN, the OAS, the US, and President Arias have mortally insulted the President, the Supreme Court, and the Congress of Honduras, as well as all of the other reputable citizens of Honduras who have tried to explain why this happened by basically saying that everything they say is a lie or refusing to even talk to them. Then they say that they must supervise Honduras' government because no one in Honduras can be trusted except the very people who have already been shown to be criminals. President Arias said that the population will be the great victim if an agreement is not reached. The population is not the victim now. The population, with the exception of a few people who are always protesting something, is fine. They are at peace and proud of their government for saving them from a Chávez-like government and proud of their military for protecting them. Arias and the rest of the world are watching too much CNN or they would know that. The population will only be victimized IF THE WORLD DECIDES TO VICTIMIZE THEM through economic sanctions. That is the world's choice to make. Our government is running better than ever. 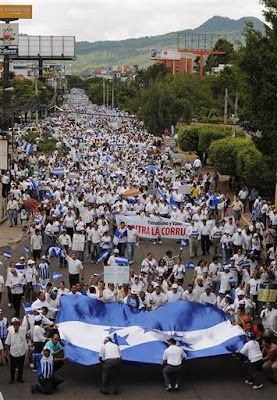 Honduras has stood proud, strong, and united against corruption and outside interference for 22 days. Hondurans are prepared to make sacrifices. Ultimately, of course the world can crush Honduras, which was already the second poorest country in the hemisphere. The thing to ask is, are you so sure that Mel Zelaya was a victim of a coup d'etat that you are willing to cause poor people to starve in order to force him back into office? The Washington Times today, July 22, has an 'exclusive' report: EXCLUSIVE: Ousted Honduran leader accused of theft. The article refers to the cash withdrawal of L.40 million (US $2.1) from the central bank by Enrique Flores Lanza as directed by Mel Zelaya. The article also mentions the L. 100,000,950 check cashed by Flores Lanza, which the Times translates to US $550,000. The Honduran media reported these investigations beginning on July 6. 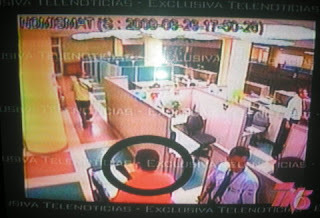 They were reported here on the Blogicito on July 7 (complete with bank security camera photos) and July 19 (originally reported in the Honduran media July 12), respectively. Since the US doesn't recognize the government of Honduras any longer, does that mean that they don't recognize our earthquakes either? We had an earthquake yesterday but it has never shown up on the USGS Earthquake site. That is where we used to get our earthquake information. Oh well, there is always Nicargua's earthquake site. It shows about 10 times as many earthquakes. This slide show addresses some of the falsehoods that have been reported in the media. It was prepared by a Honduran in Spanish but I've added a rough translation to English. If you have trouble viewing it, try this link to see it on Google Docs. "Impossible. The reinstatement of Zelaya, as we have maintained and now repeat, is not negotiable. There is no possibility of him returning to Honduras as president."